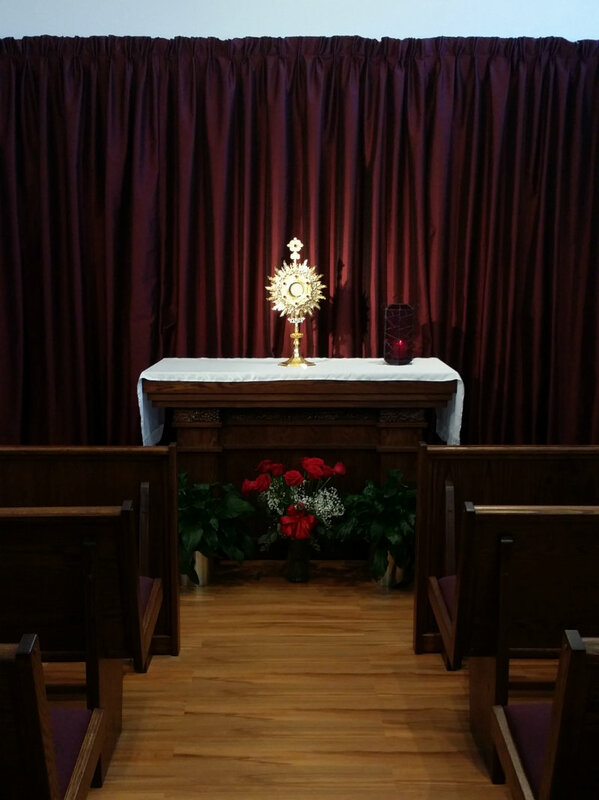 Back in early August, we did a fundraiser for the Adoration Chapel at St. Joseph Church in Imperial, MO? 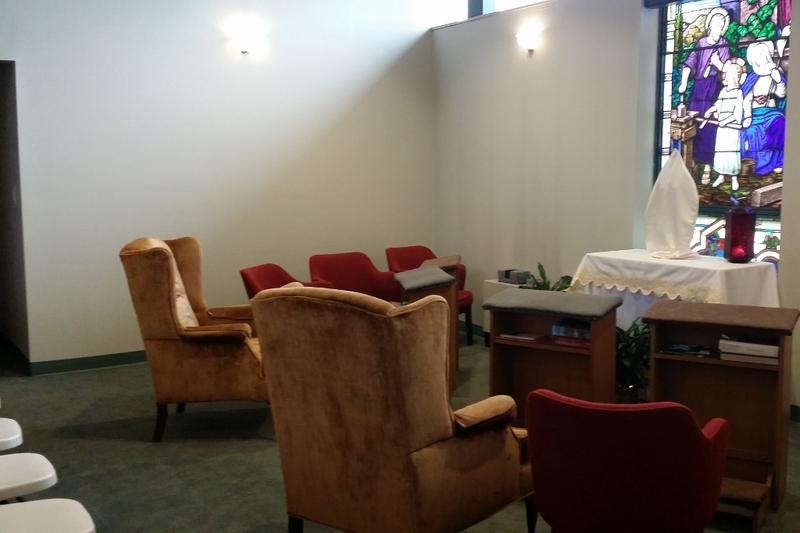 Well, I'm so happy to be able to show you these amazing before and after photos of the end results. 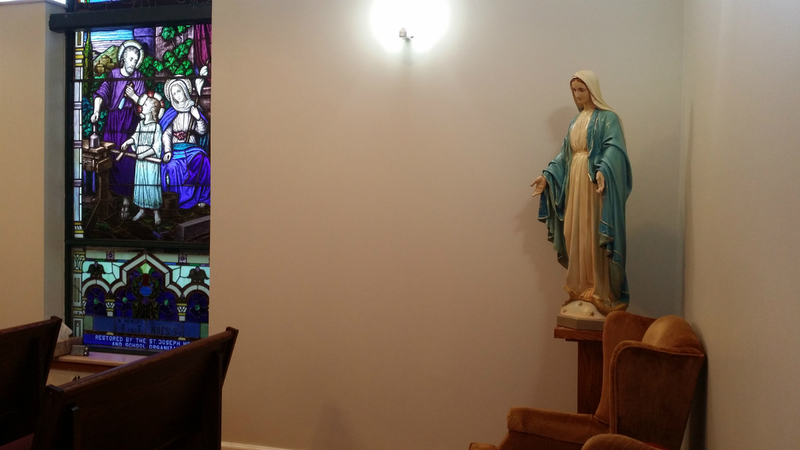 Thank you so much to all of you for ordering veils from Veils by Lily - your purchases contributed directly to making the remodeling of this chapel possible! 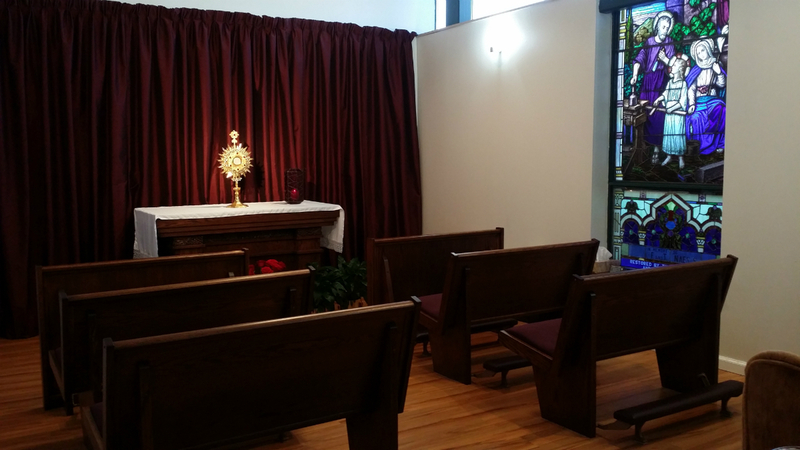 Thanks to your support, the Adoration Chapel now has a new altar, new flooring, new lighting, new pews and beautiful drapery, and so many more people are spending time with Jesus in the Blessed Sacrament!